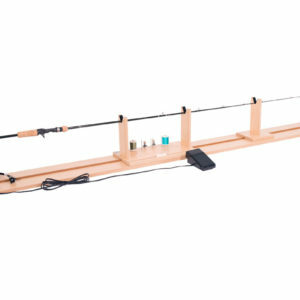 Originally designed for commercial rod manufacturers, this smooth operating set up provides almost effortless wrapping. 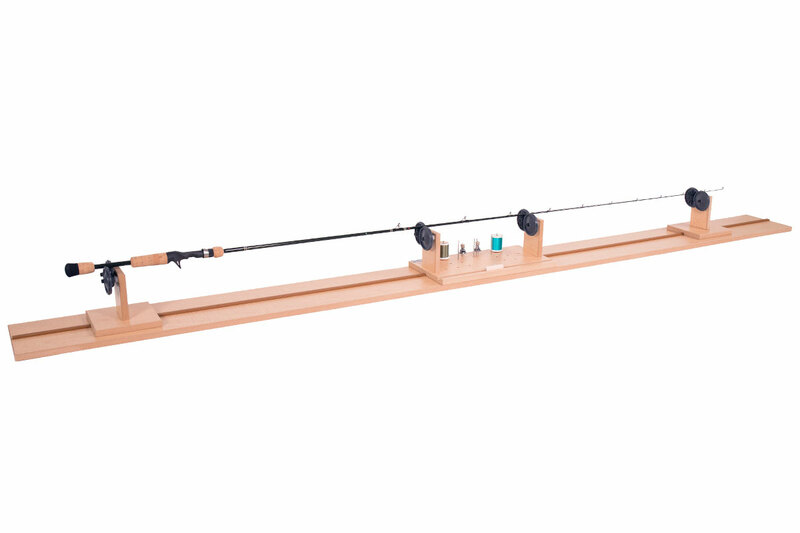 Originally designed for commercial rod manufacturers, this smooth operating set up provides almost effortless wrapping. 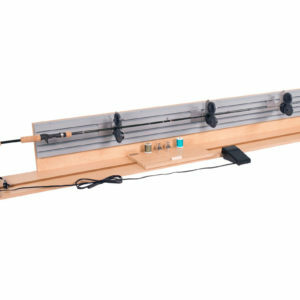 Cushioned nylon rollers on a polished steel shaft allow free spinning action with great control. 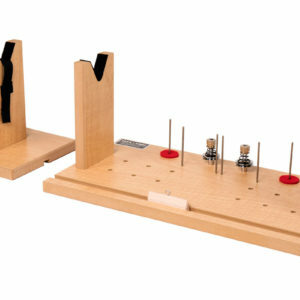 A wrapping control board with adjustable thread tension and thread feed slides along a 7 ft. alignment board.